April is a celebration of one of everyone’s favorite ingredients! Garlic is more than just a “stinking rose” and a smelly-good ingredient – its bursting with antioxidants that can give your immune system a boost, while creating delicious flavors from sweet to savory. 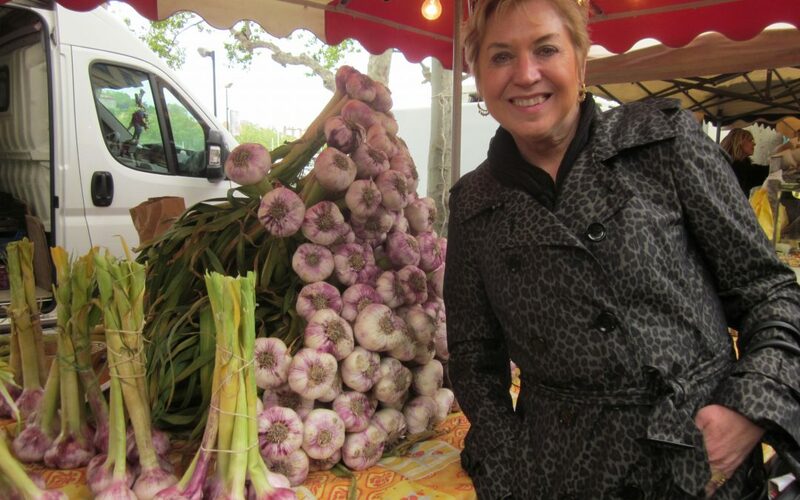 Fun host Christine and I made two recipes to shake up your view of garlic. Super easy and delicious enough that YOU can make at home. 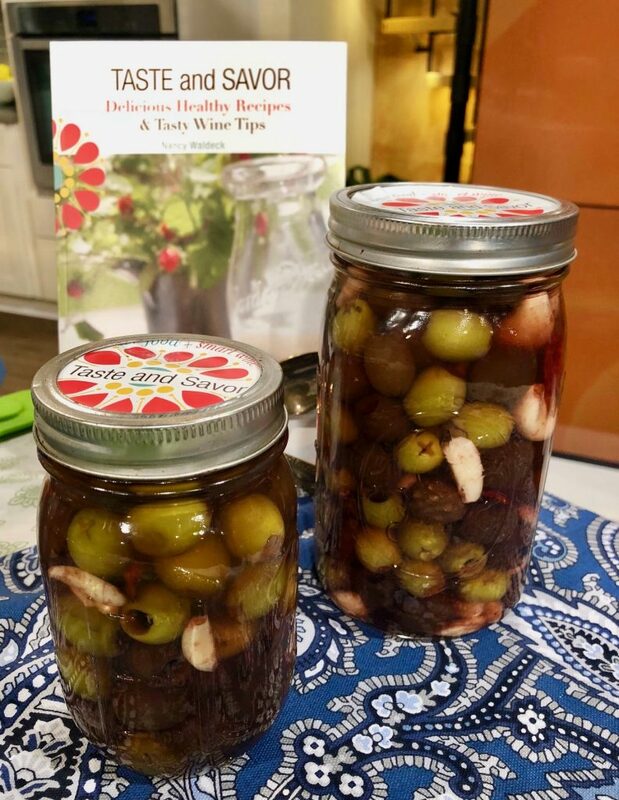 Lightly crush the olives and pour them into a glass jar with a lid. To the olive jar, add the dried chilies and the garlic, shaking to ensure they are distributed equally. Pour in enough red vinegar to cover the olives, add the lemon juice. Seal the jar, and place it in the refrigerator for at least 1 day – up to a week. Shake the jar occasionally. Olives can last for a month if kept in the fridge! Preheat the oven to 400F. Peel off excess paper from the garlic – leave the head itself intact. Trim off about ¼” off the top and then place the heads in a square of aluminum foil big enough to make a package. Drizzle a couple of Tablespoons of oil over the top, fold into a package and place in the oven. Start checking them around 45 minutes and continue until desired doneness – from 40 to 75 minutes. *Add ½ Cup Chopped Beets or other roasted veg when processing the hummus to make it pink – and taste great! Taste for seasoning and adjust with additional salt and pepper if desired. Garnish with chopped cilantro and olive oil. 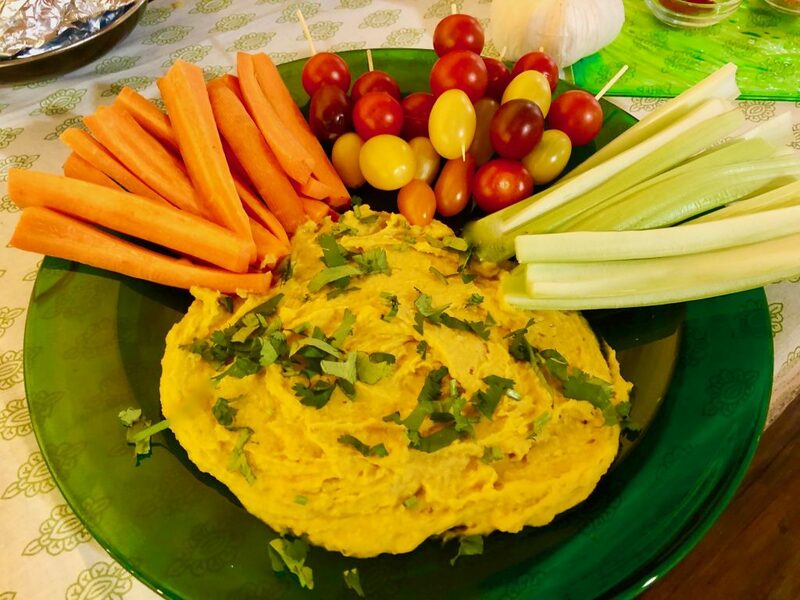 Serve the hummus with a whole wheat toasted baguette, pita chips or fresh veggies. Preheat the oven to 350F. Spray a 9” pan with baking spray or oil and line the bottom with parchment paper. Whisk the flour, baking soda, salt, and spices together and set aside. Combine the apples with lemon zest and lemon juice and set aside. Cream the butter and sugar together until light and fluffy. Beat in the garlic and bourbon, scraping down the sides of the bowl as needed. Add the egg and beat until smooth. Add flour mixture gradually, alternating with the milk in two steps, until just combined. Fold in the apples and pecans. Pour the batter into prepared pan. Bake the cake for 55 – 65 minutes or until a toothpick inserted in the middle comes out with just a few crumbs. 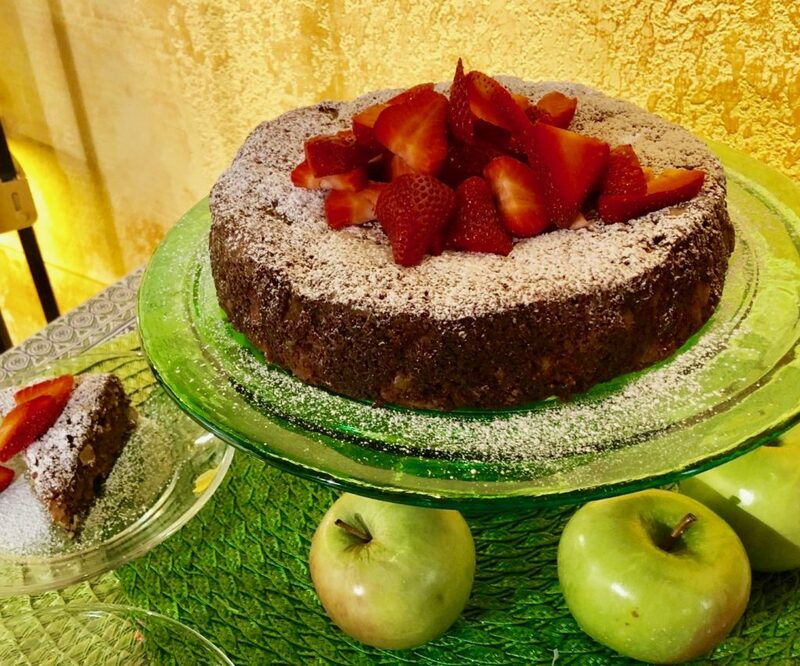 Transfer to a wire rack to cool completely before removing the cake from thepan.. Sift powdered sugar over the top of the cake and garnish with berries if desired.